The Cobalt Kobold: What makes a Character? 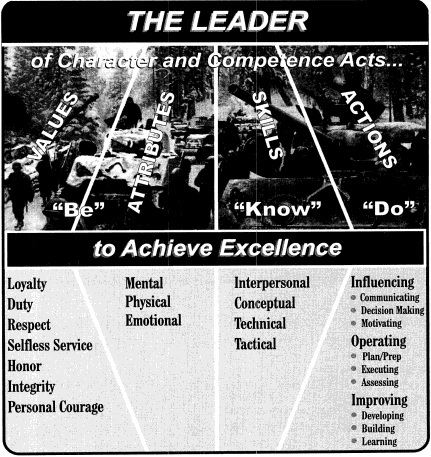 The above chart, from FM 22-100, illustrates the US Army's definition of a heroic leader. We can expand these definitions to apply to all characters, regardless of their heroic or anti-heroic inclinations. According to FM 22-100, this includes internal qualities possessed at all times, whether alone or with others. 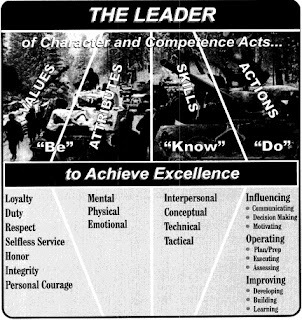 At the basic level, that means two things: values, and attributes. Whatever attributes a system includes - Strength, Dexterity, Soul, Logic, Luck, Hit Points - it doesn't matter, they all fall in here. Other parts of a character's intrinsic being can be included here - many FUDGE Gifts, for instance, would qualify as attributes regardless of whether they are rateable. A character's choice of race, and the associated traits of that race, also fall into this category. Values include alignment or devotions; they answer the question of why. Why does the character adventure? What does he fight for? What is she willing to die for? It doesn't matter if a system has mechanical rules for these things, they are a part of every character. In a word, these are skills. Not every system has skills - but they probably each have something that falls into this category. D&D 3e/4e, Pathfinder, RuneQuest, and FUDGE all have skills. Phoenix uses specialties. D&D 2e has non-weapon proficiencies or secondary skills. In D&D 0e/1e or clones like OSRIC, there is not much specific mention of skills. Rest assured, they are there. A character's ability to climb a cliff face might not be called out as a specific skill in every system, but that usually represents a simplifying assumption that such a task is always roughly equal to that character's Strength score. Some class abilities might be a part of Know. For those who aren't making a system from scratch, but rather using one already in existence, I believe keeping these categories in mind helps create rounded characters. 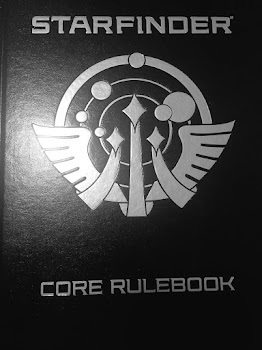 NPCs can especially use this - a quick thought on "Be, Know, Do" for an NPC gives the GM a framework that doesn't need much else for most roleplaying scenarios. Rok is strong, motivated by donuts, skilled at fishing, and works as a town guard. Mojia is lucky, motivated by forgotten knowledge, skilled at calligraphy, and works as a shipbuilder. These two characters are instantly unique and playable - the rest can be improvised by most GMs. Etom is strong, motivated by gold & chance (chaos), skilled at brawling, and works as a bodyguard. I assume a character can have more than one attribute, skill & action. I can't wait to see him in play!